Rank and Organization: 1st Lieut., Co. E, 3rd Vermont Infantry. Place and date: Petersburg, VA, 2 Apr 1865. Died: 15 Dec 1913, Winthrop, Mass. Date of Issue: 30 Sep 1893. Citation: When the lines were wavering from the well-directed fire of the enemy, this officer, acting adjutant of the regiment, sprang forward, and with encouraging words cheered the soldiers on and, although dangerously wounded, refused to leave the field until the enemy's works were taken. See also: Beyer and Keydel, 518. 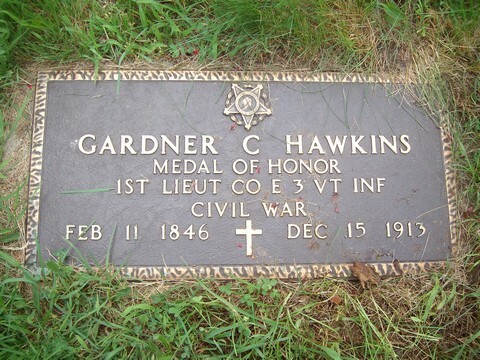 Gardner C Hawkins, formerly of Vermont, but now a resident of Boston, has just had a medal of honor awarded him by the War Department, dated Sept 21, last, in acknowledgment of his conspicuous gallantry at the storming of Petersburg, Va, on April 2 1865. Mr Hawkins is a native of Vermont and enlisted in December, 1863, when seventeen years old, in the Third Vermont Volunteers. He was promoted to be a second lieutenant at the battle of Cedar Creek, on Oct. 19, 1864, transferred to the Fourth Vermont as adjutant in December, 1864, and promoted to be first lieutenant on Feb. 25, 1865. At the assault on Petersburg he was severely wounded "while leading the men forward with an enthusiasm deserving of all praise", reported Lieutenant-Colonel Merritt Barber, adjutant general of the Vermont brigade. The wound was so dangerous and the patient's recovery so doubtful that a report gained credit that he was dead, and his obituary was published in a Vermont paper. 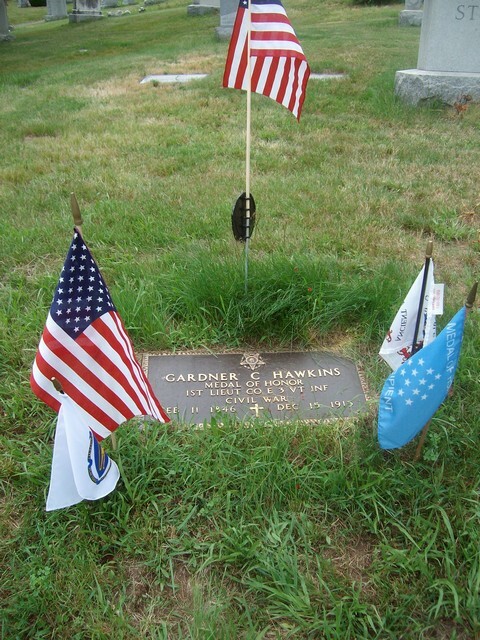 Lieutenant Hawkins is a companion of the Massachusetts Commandery of the Loyal Legion of the United States. being the youngest first-class companion. He belongs to E.W. Kinsley Post, 113 G.A.R., the Ancient and Honorable Artillery Company and the Vermont Veteran Association of Boston. He has held prominent offices in the G.A.R., the last of which was chief of staff to Commander-in-chief Wheelock G Veazey. 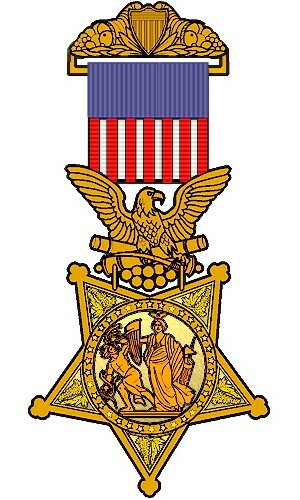 The Adjutant general's office has received word from the war department that a medal of honor has been awarded Gardner C, Hawkins, late first lieutenant 3d Vermont volunteers, for distinguished gallantry at the battle of Petersburg, Va., April 2, 1865. At daybreak during this action the old Vermont brigade was charging and breaking the Confederate lines, and Lieut. Hawkins who was acting as adjutant of the 4th Vermont, was very dangerously wounded while leading the men of his regiment forward to the assault. 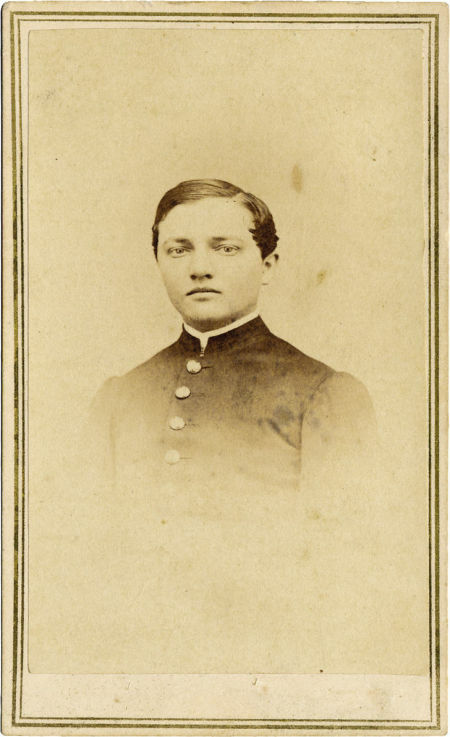 Col. Hawkins enlisted from Woodstock as a private in Co. F, 3d Vermont, Jan., 28, 1864. at the age of 18 years, and was promoted to the grade of second lieutenant and first lieutenant for faithful and meritorious services. He was one of the youngest officers in the army from Vermont, and is today a successful businessman in Boston, Mass. His many friends will congratulate him on this recognition of his valor by the United States government. Source: Burlington Free Press, September 28, 1893.